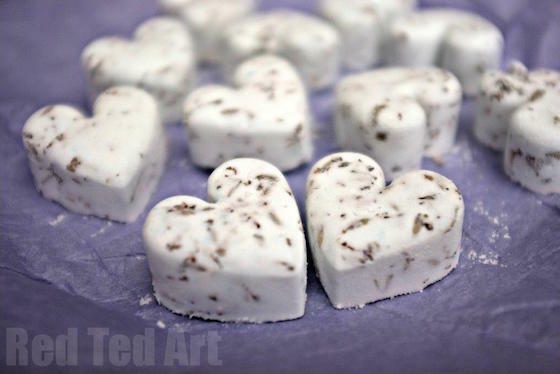 Gorgeous homemade Mother’s Day gifts for kids to make and give. 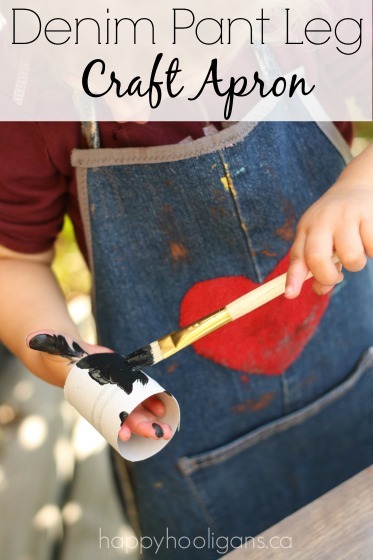 Spring has sprung, and Mother’s Day is right around the corner, and you can bet that your kids (be it your own children or your students) will want to make some fabulous Mother’s Day crafts to give to Mom on her special day. Here in North America, Mother’s Day falls in May, while in other parts of the world, Mother’s Day is celebrated earlier. 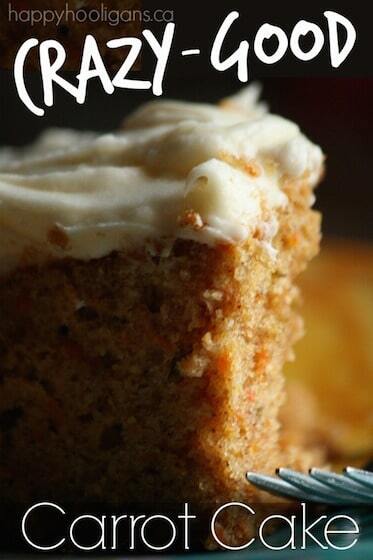 Regardless of when you celebrate Mother’s day, be sure to keep these easy and gorgeous homemade gifts in mind. They will definitely make Mom’s day at any time of the year. 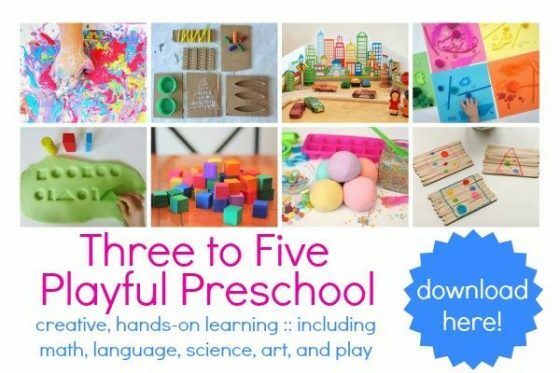 The crafts you’ll see here were were made by preschoolers, but older kids, and even tweens would enjoy making these too. All of these gifts for Mom are simple, and require very little in the way of materials, but boy-oh-boy, they’re so lovely! 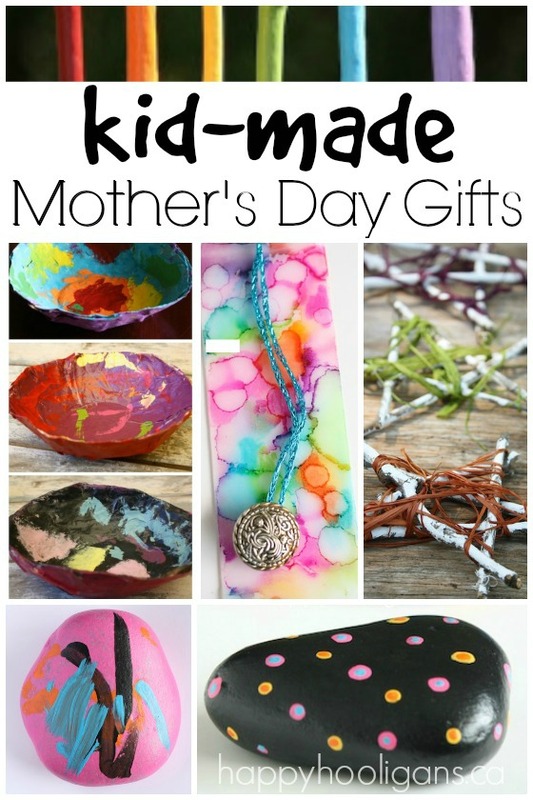 5 Handmade Mother’s Day Gifts for Kids to Make! 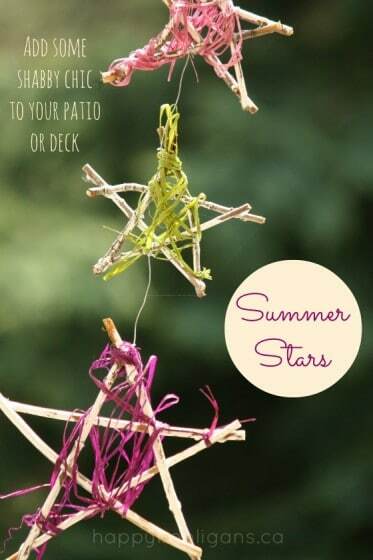 Summer Stars – these rustic twig ornaments will add some glam to Mom’s patio or deck this summer. Twigs, raffia and a glue gun are all that you’ll require to make these beautiful “summer stars”. 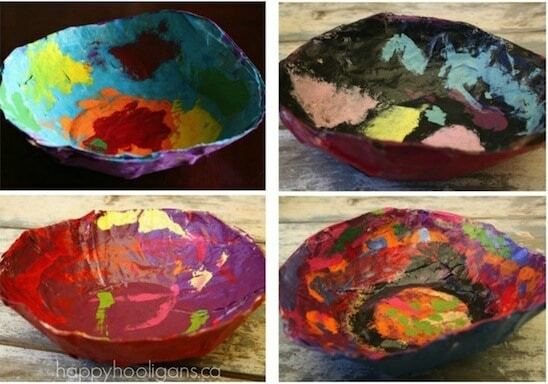 Paper Mache Bowls – My favourite handmade Mother’s Day gift of all time! These toddler-made, one-of-a-kind bowls were a big hit with the moms in my daycare a couple of years ago. 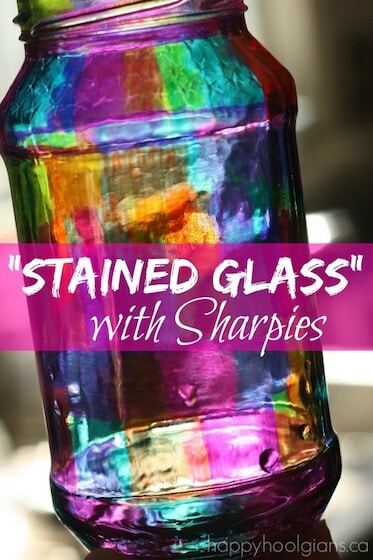 Sharpie Bookmarks – Now, here’s a really super-cool mother’s day gift! It’s a science experiment, an art project and a gift, all in one. 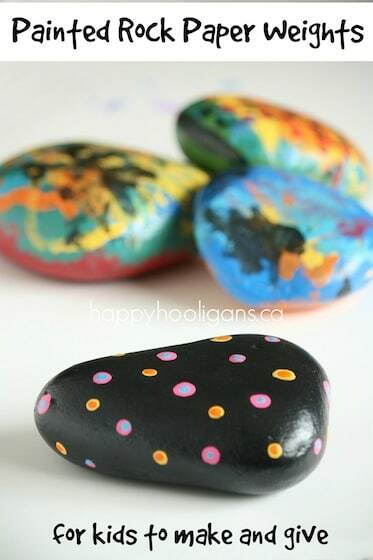 Homemade Painted Rock Paper Weights – These can be made by kids of all ages. Even the stones painted by the toddlers are simply gorgeous when given a coat of craft varnish. What mom wouldn’t want to display one of these on her desk? 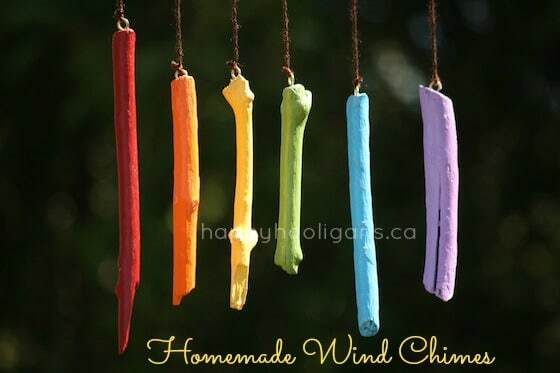 Rainbow Wind Chimes – Take your child on a nature walk to gather sticks. 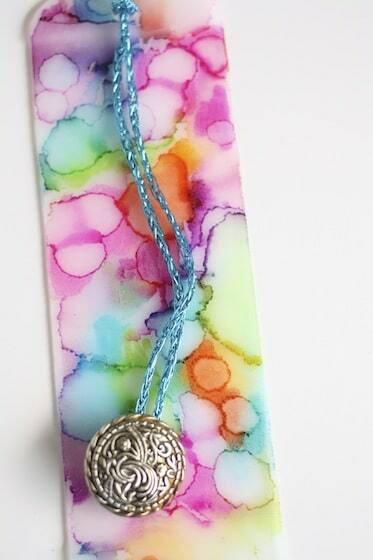 Back home, they can help you turn them into a colourful set of wind chimes for Mom. 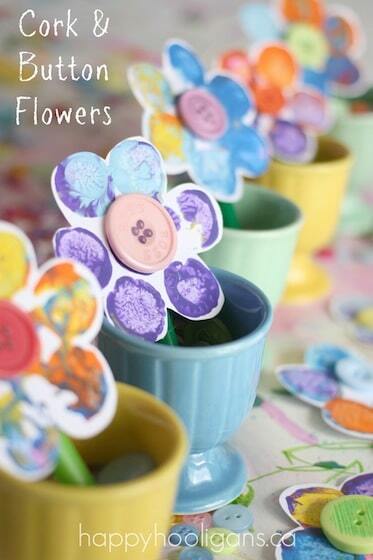 Toddlers and Preschoolers will love stamping up a bouquet of these Cork and Button Flowers! 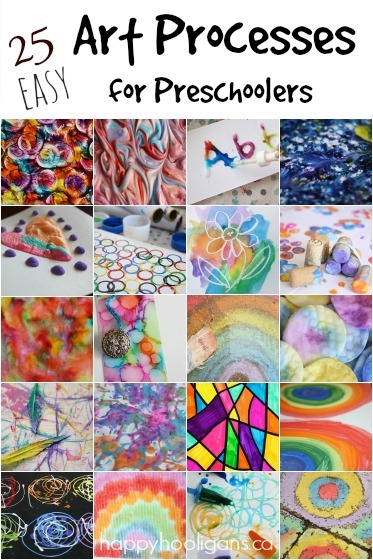 This process would be perfect for making a Mother’s Day card too! A Framed Word Cloud is a great homemade Mother’s Day gift. Kids can create a collage image with all the words that best describe their mom. 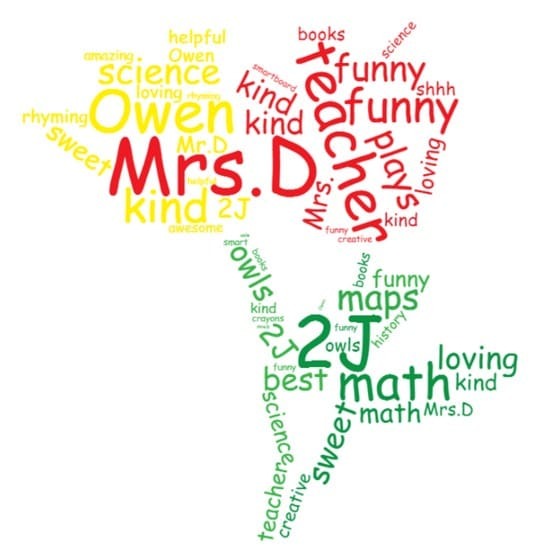 Follow the instructions for our Teacher’s Day word cloud and tweak the shape and words to make it a gift for Mom. 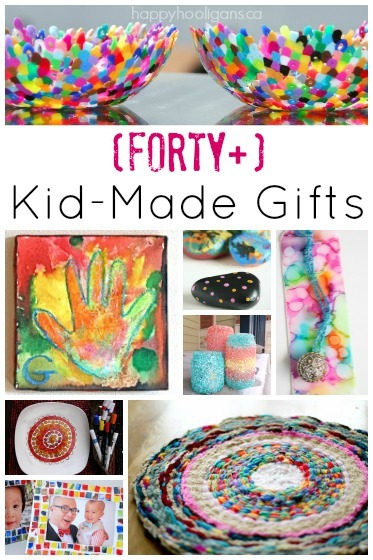 Here are 40 awesome gifts that kids can make for grown ups. And here are more than 70 homemade toys and gifts that grown-ups can make for kids too.